Abstract: In this episode Elizabeth and Karin talk about the function of black and white (monochrome/chiaroscuro) cinematography in the short films, Bad (dir. Martin Scorsese, 1987) and Stranger in Moscow (dir. Nicholas Brandt, 1996). Taking their academic essays on two of Jackson’s most monochromatic short films as source material, they consider how Jackson used cinema language to communicate with his audience in a way that was both subtle and resonant. Merx, Karin, and Elizabeth Amisu. 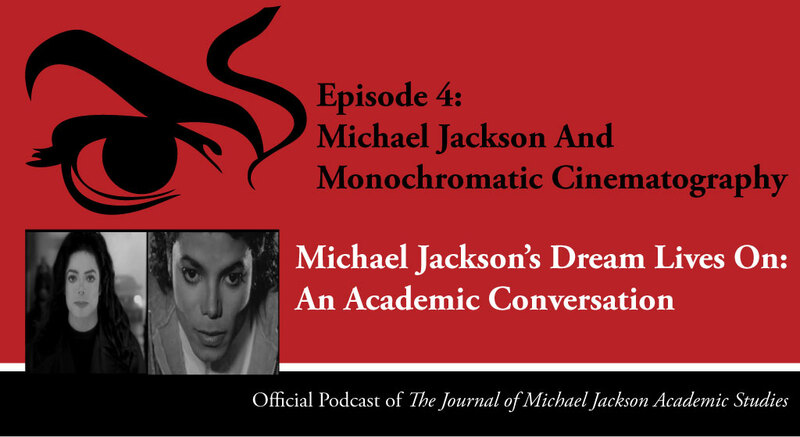 “Episode 4 – Michael Jackson and Monochromatic Cinematography.” Podcast, Michael Jackson’s Dream Lives On: An Academic Conversation 2, no. 2 (2016). Published electronically 1/03/16. http://michaeljacksonstudies.org/the-dream-lives-on-4-black-and-white-in-bad-and-stranger-in-moscow/. 1. 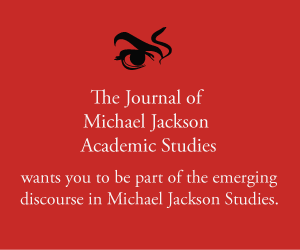 Karin Merx, “From Throne to Wilderness: Michael Jackson’s ‘Stranger in Moscow’ and the Foucauldian Outlaw.” The Journal of Michael Jackson Academic Studies 1, no. 4 (2015). 2. Elizabeth Amisu, “Bad(1987).” The Journal of Michael Jackson Academic Studies 1, no. 2 (2014). 3. Jeremy Gilbert, “The Real Abstraction of Michael Jackson.” In The Resistible Demise of Michael Jackson, edited by Mark Fisher, 137-49: Zero Books, 2009. 4. Joseph Vogel, Man in the Music: The Creative Life and Work of Michael Jackson. Sterling, 2011. 5. Michael Jackson, Moonwalk. (London: Heinemann, 1988). 6. Richard Donner, “Superman.” Dovemead/Film Export A.G./International Film Productions, 1978. 7. Spike Lee, “Bad 25.” Optimum Productions, 2013. 8. Elizabeth Amisu, Willa Stillwater, Lisha McDuff, and Karin Merx. “A Look at Neo-Noir in Michael Jackson’s Short Films.” (2016). Published electronically 28 January. 9. Mark Romanek, “Scream.” 1995. 11. Black and white films today.